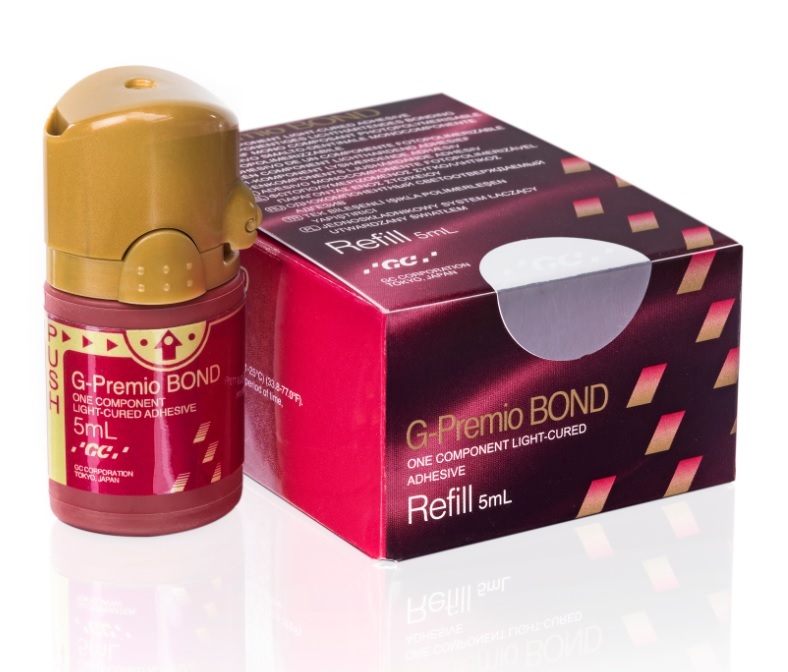 G-Premio BOND is a one-bottle universal bonding agent compatible with all etching modes. It can be used for direct bonding, but also for repair & hypersensitivity treatment. Moreover, GC wants to offer this ease of use and versatility without any impact on the quality of the bond. G-Premio BOND offers the advantages of a universal, but with a top performance in all situations thanks to a unique combination of three functional monomers (4-MET, MDP, MDTP).